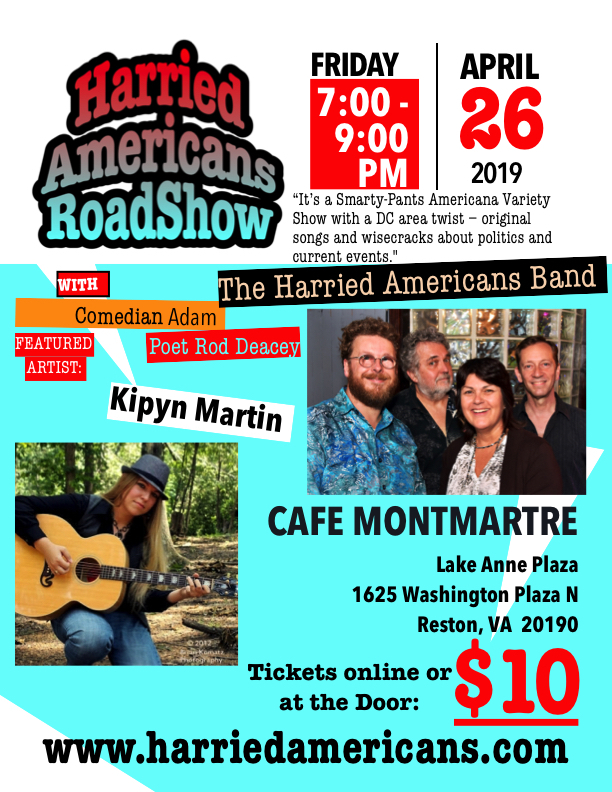 Harried Americans | “A Smarty-Pants Americana Variety Show with a DC area twist – original songs and wisecracks about politics and current events." The Harried Americans Band is based in the Washington, DC metro area (Northern Virginia, Maryland & DC.) We present Americana, Roots & Original Contemporary Folk music. 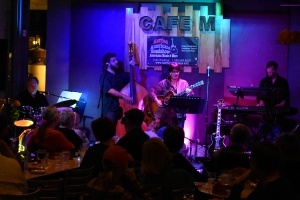 Members are singer/songwriter Chris Anderson (GRAMMY™ In the Streets winner) on guitar/ and harmonica, emcee/drummer Ron Goad (seven time WAMMIE winner,) keyboardist Mark Johnson and bassist Niels Jonker. With a repertoire that includes 1960’s sing-along, contemporary folk and new takes on old standards from the Great American Songbook, our shows are smarty-pants Americana fun! Our Roadshows includes guest artists, comedians and poets – with a DC area twist – original songs and wisecracks about politics and current events. Check out our calendar to find out where we are playing next. ************************************************************************We love to put on a show. And you are invited!